Heavy equipment moving can be a delicate and lengthy process. 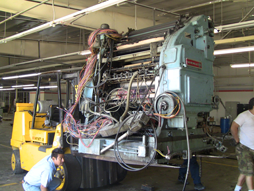 Our professionals seek to make this process much easier for a variety of industries by offering pick up, move and installation service for even your most delicate machinery. From start to finish our professionals treat your machinery with respect, as though it were our own, to ensure that your equipment remains intact in transport at all times. Each and every one of our dedicated professionals is well versed in heavy equipment relocation and is dedicated to precision when re-installing your machinery. Regardless of the equipment you seek to be transported we have the tools and the know-how to get it done with ease so that your business can continue with operations as soon as possible! Our professionals are well-versed in transporting even some of the most delicate of laboratory or medical equipment. We adhere to strict guidelines and precautionary measures that can help to ensure your equipment remains intact and free from damage in transport. To date we are one of the most sought after medical and laboratory moving companies in the California area because of our attention to detail and precautionary measures. Each and every equipment apparatus is transported with caution, whether you need it relocated 10 miles away or 100 miles. Our professionals understand that we are entrusted with some of your most fragile equipment, and therefore we always strive to maintain that trust. 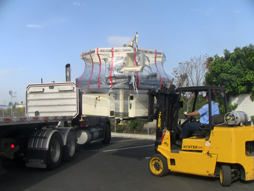 Hauling even some of your heaviest equipment is easy for the California Machinery Movers. 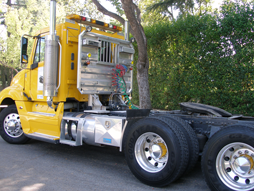 California Machinery Movers is unlike the competition because we offer a variety of state of the art transportation equipment to help ensure that you machinery is stable and transported with care no matter its shape or size. 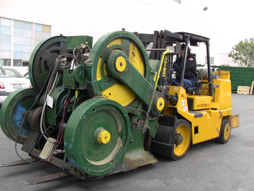 At California Machinery Movers we utilize air-ride equipment that assists to ensure your equipment is transported with ease. Our professionals are trained and experienced in operating heavy hauling equipment including flatbeds, lowboy trailers, vans, specialized trailers and rollbacks. In addition to relocating your equipment we can help to erect and assemble your equipment as well. Inspection of your machines is also optional. 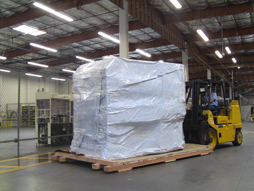 Our professionals also specialize in custom crating and packaging to ensure that your products, equipment and goods are transported properly to your new facility. 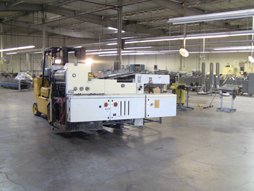 The manner in which your equipment and machinery are packaged are of critical importance to the success of a move. That’s why our professionals also can provide you with packaging and crating assistance so that your items remain protected throughout the duration of their relocation. Our professionals are dedicated to providing you with quick and efficient relocation services based on a planned schedule. We want to help minimize the amount of time that your business is not functional. Our team understands the important of up-time for your business. It is for that reason that we strive to provide our relocation services based on a strict schedule that accounts for minimal down-time of your business. We can provide you with relocating facility access in the United States, Mexico and Canada, so whether you require plant relocation, a whole new foundation or machinery relocation, California Machinery Movers are the only professionals you need on your side.